Eric Ericson Kammarkör was founded in 1945 by Eric Ericson. It has taken a central place in scene, both in Sweden and internationally. The constant search for new music and new compositions has resulted in a widely varying repertiore, from Renaissance music to the latest avant-garde. 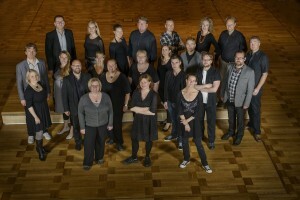 For several generations of Swedish composers the EEKK has been the ideal vocal ensemble, with its typical ‘Nordic’ sound and well-developed virtuosity. A passion for unusual repertoire combined with a broad knowledge of a variety of periods and styles has made Fredrik Malmberg one of Scandinavia’s most exciting choral conductors. In 2007, he was appointed Conductor of the Danish Radio Choir and of DR Vocal Ensemble, the newest highly acclaimed European chorus. Fredrik Malmberg has made guest appearances in Russia, Ukraine, Japan and the Middle East as well as in a number of European countries. 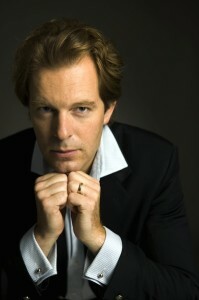 As well as appearing with his own ensembles, he has conducted, among others, the Swedish Radio Choir, the Eric Ericson Chamber Choir, the Finnish Radio Choir, Concerto Copenhagen, the Drottningholm Baroque Ensemble, the Swedish Radio Symphony Orchestra, the Helsingborg Symphony Orchestra, the Tallinn Chamber Orchestra and the Mariinsky Theatre Orchestra. on early and contemporary music for voices and other instruments. The ensemble roused immediate interest and was appointed “artist in residence” by the Swedish Radio 2004‐2006 and was named Sweden’s “Choir of the Year 2007”. Since 2011 Fredrik Malmberg is professor in choral contucting at the Royal College of Music in Stockholm.